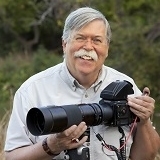 Emerson R (Bill) Bailey is the managing member of Gymer Images LLC, and has been a photographer since 1954. At a ripe 9 years of age, Bill constructed his own dark room. He has a Master of Business Administration degree in Management Science, Systems Analysis and Design, Computer Science from California State University, East Bay. In November, 2015, he will be part of a significant photo shoot and workshop in Death Valley. In March of the following year, he will be shooting in Sedona, Arizona. Bill specializes in fine art landscape photography, custom framing, and custom archival matting. A trumpet player as well, Bill has been Principal Trumpet with the Metropolitan Brass Quintet and Co-Principal Trumpet with the Wyoming Symphony Orchestra.